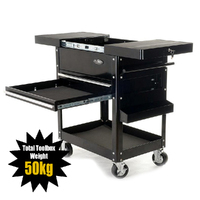 150kg load capacity. 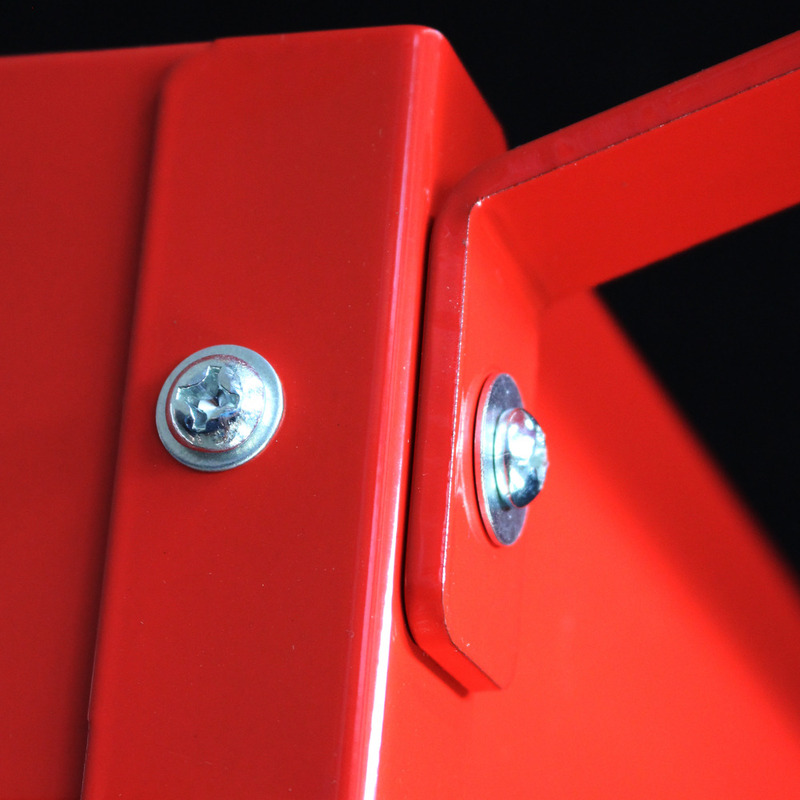 Steel Construction. 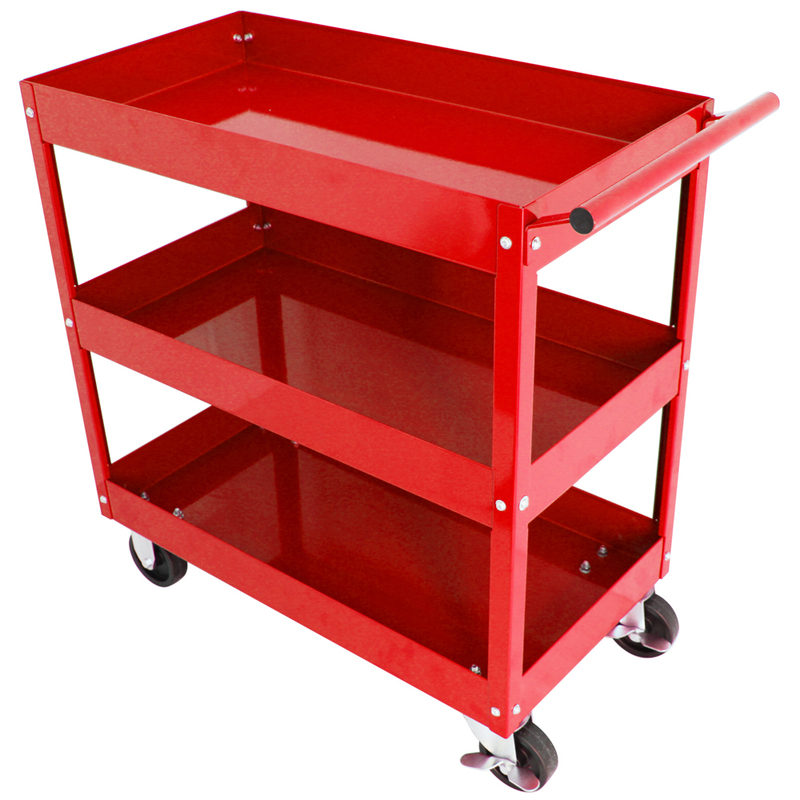 This MAXIM 3 Tier Red Trolley features steel construction and a tough powder coat finish. 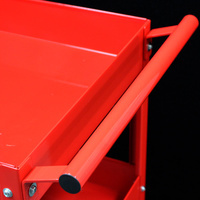 The three trays are 75mm deep and can collectively hold 150kg. 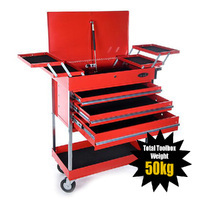 Ideal for mechanics looking for the best quality at an affordable price. 3 x 75mm deep trays that can collectively hold 150kg (evenly spread over the 3 trays). 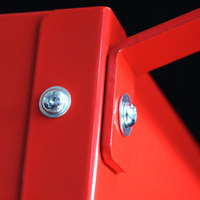 2 x swivel castors, 2 x fixed castors (95mm diameter). 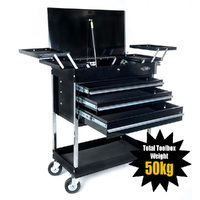 For a low cost service cart, we believe this to be the best on the market and we invite you to come to our Sydney showroom and have a look. 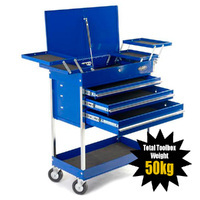 Ideal for mechanics looking for the best quality at an affordable price. This trolley is trade quality. 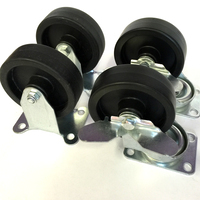 2 x swivel castors, 2 x fixed castors (80mm diameter).